An evacuation order for a rustic residential development threatened by a West Texas wildfire has been lifted after firefighters were able to ring the fire with a containment line. 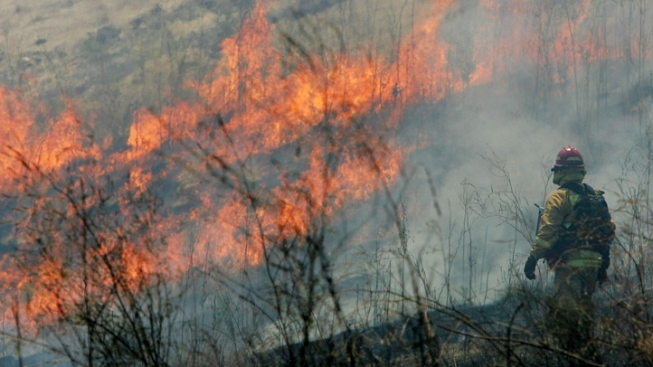 Texas Forest Service spokeswoman April Saginor says the evacuation order for the Davis Mountain Resort was lifted Thursday night. About 150 residents live in the 400-cabin development full time. The blaze known as the Livermore Ranch fire is about 50 percent contained, while a slightly smaller blaze named the Spring Mountain fire to the northwest is 60 percent contained. The fires have scorched about 24,000 acres. No building damage or injuries have been reported. Officials say lightning ignited the fires on April 24.